Quiet Waters is designed to meet the changing needs of residents – today and in the future. Quiet Waters offers a safe, secure environment, designed to meet the challenging needs of those residents with Dementia, Alzheimer’s disease and related disorders. To ensure the highest level of care for your loved ones, the Quiet Waters program promotes the participation and involvement of residents and families in the planning and implementing of specialized care and programs for each resident. In Quiet Waters, professional assistance is available to help all family members faced with the challenge of caring for loved ones with memory disorders. The Quiet Waters Memory Impairment Program, for seniors with Alzheimer’s Disease or other memory disorders is designed specifically to provide comfort and security in a homespun, residential environment. Our staff, living areas and programs support each resident’s current capabilities while adding advantages such as personal assistance from experienced caregivers, round-the-clock medical supervision and the reassurance of community living. Residents can enjoy the quiet setting of the enclosed outdoor patio and garden; or participate in the 24-hour activity program. Pleasing aromas drift from the kitchenette where snacks are always available. Under the guidance of our Director of Wellness, memory impaired residents of Quiet Waters receive the undivided attention of specially trained caregivers. 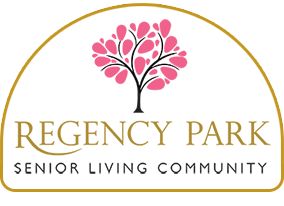 The combination of experienced leadership and caring professionals offers residents and their families the highest level of assurance and services. At Quiet Waters, we also understand the importance of “caring for the caregiver.” Our Respite Care Program provides temporary assistance to family members, giving them time to enjoy a vacation or simply “recharge” their batteries. Quiet Waters is convenient to Annapolis MD, Baltimore Maryland and Washington DC as well as all parts of Anne Arundel including Crofton, Waugh Chapel, Gambrills, Odenton, Glen Burnie, Crownsville, Millersville, Davidsonville, Edgewater, Pasadena, Arnold, Severna Park and Severn as well as Prince Georges County including Bowie, Glenn Dale, Greenbelt, Laurel & Mitchellville MD.